The Rusted Trowel: Birthday Surprise! It was someone’s special birthday so we decided to create the perfect birthday gift. After digging through baby books and family achives, we found a list of flowers given to the birthday girl’s mother from her father when she was born. 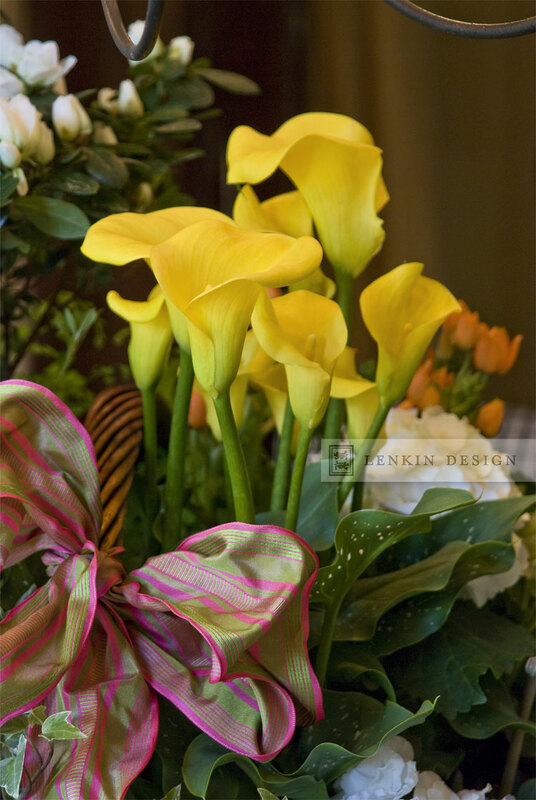 With the help of Tommy Farmer and Steven Carmona of Tommy Farmer Studios, we were able to recreate this exquisite bouquet. Here it is! 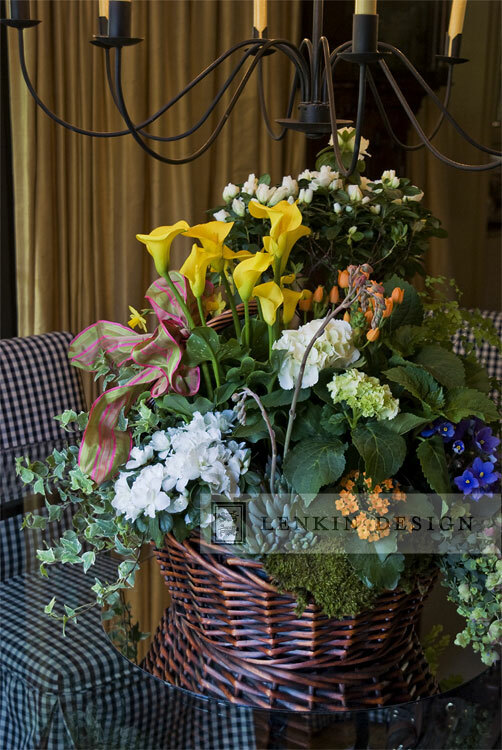 This classic arrangement includes (among many things) white hydrangeas, yellow calla lillies, african violets, miniature daffodils, variegated needlepoint ivy, and dwarf azalea. 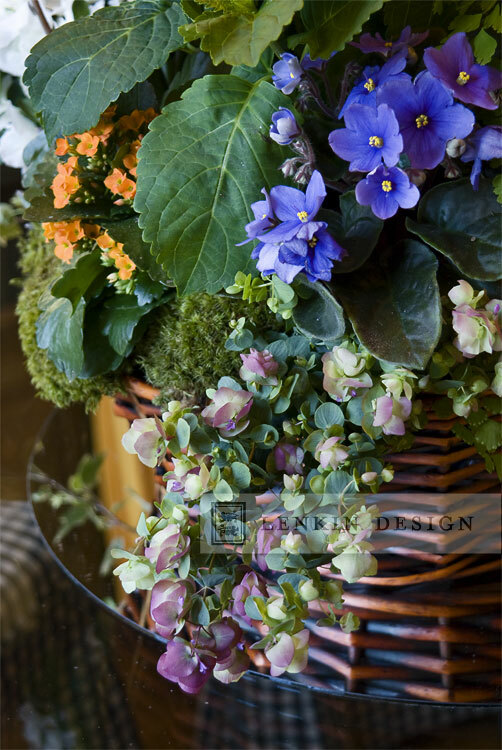 Spilling out of the basket are the delicate shades of ornamental 'Kent's Beauty' oregano (origanum rotundifolium). 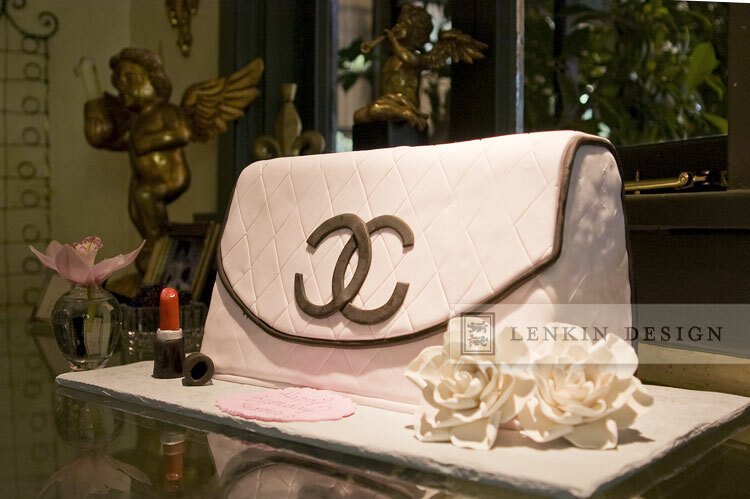 And, of course, a Chanel handbag cake for the birthday girl, thanks to Leslie at Fantasy Frostings!